Te Akau Stud comprises 4000 acres, of which 1000 acres is specifically fenced for horses. For 35 years Te Akau principal David Ellis has been uncompromising in his nurturing of the land to produce pasture second to none. Large paddocks allow all horses to run freely and develop naturally in a magnificent environment. The property is fully utilised for breaking, pre-training, training, and spelling horses, alongside farming sheep and cattle, with top staff on hand. The stud is complimented by its racing stables in Matamata, New Zealand, and Kranji Racecourse in Singapore. Te Akau trainer Mark Walker won five premierships in New Zealand, breaking both prize money and winning tally records with $3.7 million earned in a season and 108 victories, before setting up Te Akau stables in Singapore. He won the Singapore champion trainer title in 2015 and looks set to win the title again in 2017. Incumbent Te Akau New Zealand trainers Stephen Autridge & Jamie Richards won the 2016 trainers title in their first season together and finished third in 2017. Located in Matamata, Waikato, on the North Island of New Zealand, the centre is based at the Matamata Racecourse and offers first-class facilities for approximately 700 horses to train. Te Akau Racing has a 12-acre post and railed property near the racecourse and two barns on the course, providing boxes for upwards of 80 horses. Communication with owners is the cornerstone of business for Te Akau Racing and a constant flow of emails containing written, image, and video reports, along with a Youtube channel, ensures up to date information through every step of a horse’s career. A highly experienced team of staff, from stable-hands and track riders to vets, farriers and trainers, provide the best possible care and attention for every horse, and not only are horses kept and turned out in immaculate condition but diligent preparation goes into setting horses for specific targets. Te Akau Racing lives by the philosophy of attaining goals set for horses and most importantly winning races for owners while providing them with the thrill and pleasure of racing with a professional and vibrant team. setting them for specific targets. In 2010, David Ellis and Mark Walker established Te Akau Racing in Singapore. The idea being to provide owners with an opportunity to race horses outside of Australasia, in one of the best racing jurisdictions in the world. 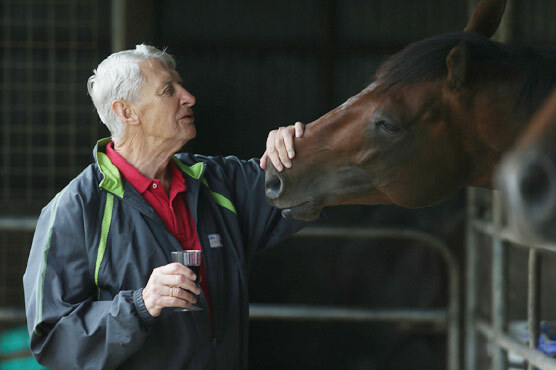 Having already established himself as a world-class trainer (New Zealand Champion Trainer 2004, 2005, 2007, 2008 and 2009), Walker was eagerly granted a licence by the Singapore Turf Club and won his first premiership title there in 2015. His training prowess has gone to another level in a truly international environment and a clear leader he is well on his way to another premiership title in 2017.